As I have pointed out a common opposition to a concept of "privilege" bound together the liberals. AT the same time both their support base and their policies were very varied. This was true of virtually all major national issues of the day-free trade being the great exception and to a lesser extent Home Rule and weakening of the House of Lord’s power. On just about any other issue you could fine two liberals with opposing views- and it is my impression that while there was also considerable diversity in the Conservative/ Unionists. Nor were the liberals necessarily divided into clear factions in this period. They were at their most divided in the early 1900's when a powerful faction was strongly opposed to the Boer war -indeed at least in the latter stages a majority one! Another powerful faction (almost certainly representing majority opinion among the electorate as a whole) supported it. However there were general tendencies and I will now try to describe what I see as the three most important (using my own categorization though based on ones used at the time and by historians).s. It should be noted that there were combinations between them and subtleties in the spectrum within them-these categories are very general. So the Liberal Imperialists for example including those who were gung ho on imperialism and quite tepid on bits of social reform like Rosebery. The first I would call "Gladstonian"- the straight continuers of the Gladstonian legacy. In a sense they tended to stand for an extension of his reforms ( Gladstone himself was dubious about quite a lot of these extensions such as women's suffrage) -and were perhaps the purest opponents of "privilege" in the sense of distinction They wanted to extend the franchise enthusiastically, introduce Home Rule (in many cases for Wales and Scotland as well as Ireland), and take Gladstone's sympathy for national movements and opposition to further levels- they were often outright opposed to the imperial and provided a big base for anti Boer War Feeling (and indeed for anti First World War sentiment to a lesser extent) . Similarly they were very wary of higher defence spending or foreign intervention. Like Gladstone's governments they were often sympathetic to crackdowns on "vice"- for example alcohol and prostitution unlike most forms of government such policies did not make distinctions between people in a privileged way. And John Stuart Mill was never the liberal party’s mainstream. However they tended to be more sceptical of the politics of social reform-which provided distinctions-attacking it as encouraging dependency and as a new form of privilege. John Morley was the major member of the Asquith government most opposed to the new social reforms- and the world of 20th century statism from pensions to labour regulation to growing regulation of private industry. This may make the Gladstonians sound like a mere relic- a continuation of the politics of the past. However they were still a vital force within their party including I would argue such dignitaries as Millicent Fawcett who was both fanatically committed to female suffrage(even being willing to support Labour for that reason) and an opponent of old age pensions! The best election of the era for the liberals was 1906-an election fought on the pure Gladstonian issue of free trade and to a lesser extent other principles like non-denominational education and opposition to "Chinese labour" that fit in well with Gladstonianism. Secondly in a sense they were actually the most resilient liberals. The tiny liberal party that survived into the early 1950's was much closer to Gladstonians than either of the other two tendencies I will describe-strongly supportive of internationalism and "peace movements" but very free market and anti-socialist (indeed such describes quite well Joseph Grimond who started their revival).Founders of the revival of free market thought in the late 20th century were often members of the liberal party of that era for example Arthur Seldon. It's worth noting Josiah Wedgwood who at least in the latter party of his career was a pretty pure Gladstonian even joined the Labour party! Another group I would label the "radicals" or the "advanced" liberals. They tended to share most of the Gladstonian style objectives. At the same time they combined this with a new agenda attacking different forms of privilege. For example the "privilege" of land ownership ( Georgism was strong in the liberal party as was ), inheritance and profits that were perceived as being the result of monopolies. Hobsonian positive liberalism with its scathing attitude to capitalism and imperialism was very much part of this tradition . This section of the party tended to be the most enthusiastically anti drink -lacking the free market scruples of many Gladstoninans. Unsurprisingly in the inter war years many of this group ended up in the Labour party whether Addison or William Wedgwood Benn. Indeed in many ways it can be seen as perhaps the foremost ancestor of the middle class leftwing tradition within the Labour party. Lloyd George before World War one(World War one had a big impact on hams!) Was perhaps a classic example of the way in which radicals combined the old liberalism and the new- anti-imperialist, with strong pacifist tendencies (without quite being pacifist), anti establishment, pro Welsh nationalist (and crypto prohibitionist)- and the leading architect of the social reforms that lay the foundation of the Welfare state. I would argue this wing (even on alcohol) had marked resembling to the populist and progressive wing of the Democratic Party in the United States. Even those Democrats enthusiasm for the "autonomy" of southern whites was matched by similar sentiment among liberals about the autonomy of Afrikaners in South Africa. And there is an even more direct parallel in that southern progressives were very critical of Theodore Roosevelt’s effective support of the UK in the South African War (as to be fair were most Americans with a view). There was at least one other faction in the party in the decades before the World War I> The very powerful liberal imperialist wing (which included at a minimum the second most important liberal prime minister Herbert Asquith) which strongly backed the Boer war and the maintenance and even expansion of the empire-helping split the liberal party They were chiefly responsible under Asquith and Grey (his foreign secretary) for the embracing of an increasing tight alliance with the French against Germany and for a large increase in defence spending to guarantee British naval superiority- in a sense a foreign policy that much more naturally. I think it'd be fair to say they had less archetypical liberal" background-they were often aristocratic or semi aristocratic, Anglican rather than dissenting and so forth-at least in parliament (though so overrepresented were these groups in parliament they were large in all three factions) . This was often reflected on what might be called socio-cultural issues drink and suffrage where I would estimate they tended to be less sympathetic to the "reform" position of restriction and enfranchisement than the average Liberal- Asquith and Churchill opposed women suffrage and alcohol restriction as well as being notorious drinkers! So why were they liberals -were they just a historical accident people in the wrong party? As already mentioned though this was an era where party voting was getting tighter not less. The Whigs who much more plausibly could be seen as "being in the wrong party" by the late 1870's (where the reforms they battled for had been implemented or negated) had already defected. I would suggest several ways in which the liberal imperialists were natural fits with the liberals-indeed not sparingly since so many of their most distinguished leaders fit this profile! Firstly they may have been imperialists but still had important differences with the conservatives- they often had a more "pluralistic" conception of how empire should work usurping they accepted (and mostly supported albeit in a way cautious of the electorate) Home Rule for Ireland. Its worth noting Cecil Rhodes was almost certainly a liberal imperialist-even giving a large donation to party funds. Cecil Rhodes in pandered to Dutch Reformed hardliners in South African politics- Liberal Imperialism was not by and large simply a copy oft hat of Joe Chamberlain. Rather it looked to a looser empire where cultural pluralism could find political expression in Home Rule , enormous automaton for members including Dominion status for a Union of South Africa with an Afrikaner general (and headed by a man who had been a general against the Births a decade before) and without tariffs. It was a less cohesive . Consolidated and centralized vision of empire. Secondly they tended to be very sympathetic to social reform-there was a section of Conservative imperialists for example Milner who were also sympthatetic to social reform-but the liberals were the party that pushed it. In many ways that fit in with Social Darwinian ideas that underlay much of the imperialist vision-and the notion of using government to strengthen the nation. At the same time many of the arguments on the "social surplus" or the dangerous effects of unregulated capitalism were accepted by many liberal imperialists. 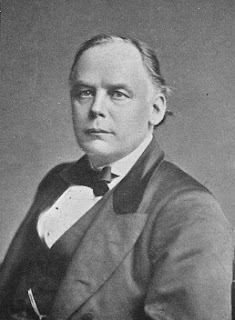 A supreme example was Grey in this period who has been aptly described as part Whig and part Socialist - his embrace of Tory polices abroad was matched by an intense support of state regulation and control at home- representing a common vision of improvement and diversity through government ( he grew disillusioned with state control due to his experience in World War I. An even better example was Haldane -regarded as being on the extreme right of the liberals during the Boer war -but who after World War I happily served in a Labour Cabinet! In a certain sense they can be seen as the most "modern" of the factions- committed to both the great trendy causes of imperialism and domestic welfare. Lastly of course much of the constitutional agenda was supported by and large by the imperialists. It's worth remembering that the greatest issues of the era were probably the House of Lords and Home Rule-the latter of which led the UK to the brink of civil war. 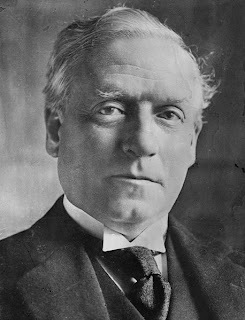 Asquith was as keen supporter of both as the "radical" Lloyd George. Many liberal leaders were prominent liberal imperalists.The (relatively) young Churchill was arguably a classic one- a former Tory who'd left over free trade, a war veteran, an aristocrat, a hater of female suffrage and alcohol, a believer in a relatively strong defence, a social Darwinist-and a massive supporter of social reform much more so than the likes of Morley. But their supreme leader and perhaps an even purer example of the breed (Churchill arguably had radical tendencies) was Herbert Asquith the enormously powerful Prime Minister from 1908 onwards whose countenance heads this post. IN the political era before World War 1 many issues dominated politics that today are minor issues electorally. However some issues that matter today were also large issues then. One was closely linked to imperial issues and that was defence and defence spending. The linked questions of how high UK defence spending would whether Britain should join the bulk of major European powers that practised conscription , how hard a line should be taken against threats (France in the 1890's Germany afterwards) were all linked questions perhaps unsurprisingly the party of empire and national union the conservatives were predominantly more hawkish and militaristic- though there were plenty of hawks ( Winston Churchill was a strongly left wing liberal in this era)) in the liberals and many Tories had some dovish tendencies (Andrew Bonar Law was at least in peacetime dubious about conscription for example) the immediate run up to World War 1 saw an increasingly assertive stand against Germany-and an increasingly high defence budget (particularly defending British naval superiority against a Germany fleet designed around sinking it). This change was under a liberal government the party less keen on such measures-and despite this they were attacked by many conservatives and unionists as being insufficiently radical in this shift. 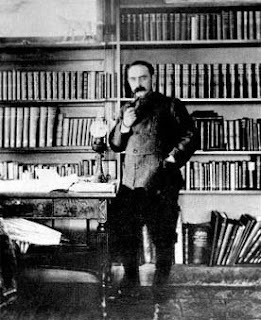 The famous writer Rudyard Kipling (a fervent well connected Tory) was one of the most famous of these critics. Many Tories took what happened in World War 1 as a vindication of these pre war criticisms’. Kipling’s famous words "If any ask us why we died, say twas because our fathers lied" are an attack on what he saw as pre war excessive pacifism(not onthe war itself as they are so often represented and as I wwent around for years beleving) which in his eyes had led to devastation at the hands of Germany. In turn of course the horrors of the war also produced a huge upsurge of anti war sentiment-though by this time Labour even more than the liberals were the prime necessary channel. Even before the war naval bases and construciotn sites such as Bootle tended to be strongly Conservative. Economics was also a major issue in this period. To some degree this involved debates about the expansion (or even creation) of the Welfare state- Conservatives were more sceptical than liberals) and a "new liberalism" became increasingly central in the early decades of the 20th century. However both liberal support and Tory opposition were muted and mixed. The great John Morley a leading liberal stuck to the old Gladstonian faith in small government and in the pre war era the rising Tory star F.E. Smith was a big advocate of an expansion in such support. The bigger differences were on how to pay for such changes. The Tories by 1906 in large measure prompted by this question had mostly come around to supporting protectionism-this support was basically unanimous for those Tories who did support expanded welfare This had had the somewhat ironic effect that by 1910 the handful of Tories such as Hugh Cecil who were free trade tended to be on the hard right wing of the Conservative party on other issues. .Protection provided a measure for providing such support that fitted in well with Tory ideology, defending against foreigners and holding together both the country and more significantly the empire ("imperial preference" was the preferred term by conservatives). 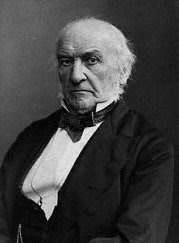 The liberals would take no stand since the 1850's Gladstone had inspired them into an monolithic commitment to free trade-when that cracked a bit even in Britain in the early 20th century era of rising tariffs (the Uk was still the last major country to reimpose tariffs-in the eaerly 1930's) . This gave them a powerful cry "cheap bread" Tariffs were probably the great vulnerability of the conservatives- so much so that by the 1910's they’d increasingly come around to promising a referendum before tariffs were to be introduced. However the liberals had to pay for the spending elsewhere - and this caused them their own problems. If the Tories sought revenue in accordance with ideas of nationalism and imperialism the liberals tended to seek revenue according to their own ideology- fighting "privilege" this led to supports for some increase in income taxation-and even more inheritance "death duties" and land tax. This alienated from the liberals both the very well off (who were hit hardest by these taxes)but also significantly highly rural areas whose incomes would be directly or indirectly hit by land taxes. In the 1910 election the liberals did badly in their traditional dissenting west country strongholds and terribly in the bread basket of the south east). Only In Ireland and rural Wales where issues of religion and constitution trumped bread and butter issues did rural anti tourism weather this effect. One major economic issue did not fit well into the conflict between the two parties. The rights and immunities of trade unions. The Labour Party in the UK was not born (initially) as a Socialist party but as a party to defend the interests of Labour Unions from "aggression" by the Taft Vale which stripped trade unions of many legal immunities (nearly all subsequently re-abolished by Thatcher). Though liberals tended to be more sympathetic to the claims of trade unions ultimately their claims fitted well neither into the Tory vision of national and religious union and the defence of property or into liberals dislike of "privilege" (in a way that was not true of protectionism) thus the early Labour party (still very much the poor relative) was created by and benefitted a great deal from the existence of one cleavage that had difficulty fitting in with the existing major party lines. So strong was it's support that both parties reached out to it’s to al-the liberals as a deal with the labour party (and to gain the support of trade unionists in many liberal held seat) essentially repealed Taft Vale and a Tory dominated house of lords did not dare block repeal- the same house of lords of 1906-1910 that killed most other major liberal legislation from Wales to tax. Finally an issue should be mentioned that crosses most categories -immigration, in this era a minor issue mostly to do with Jewish immigration from Eastern Europe. It was however bitterly unpopular in many such areas. Unsurprising the party of religious establishment, nationally solidarity and suspicion of foreign economic competition-the conservatives were the party that supported restrictions more avidly-and gave them a great vote in the eastern slums of London. Lastly one issue should be mentioned that combined all the issues economic, constitutional and even international - the powers of the House of Lords. After 1886 the House of Lords was nearly monolithically Conservative (home rule in 1894 had passed the commons-and was then voted down 10-1 in the Lords).This was unsurprinsly given its membership was overwhelinglyvery affluent and Anglican. Thus it acted as a guarantee of the interest of the side the conservative party incline on all such issues- including property taxation and the constitutional structure. It's undemocratic (indeed at that point overwhelmingly hereditary) nature made it a ready target for the liberals-and their campaign against the frustration of their agenda by the lord probably staved off defeat in both 1910 elections. AT the same time of course voters who strongly opposed land tax or home rule-had every reason. too back the Houseof Lords retention’s of its powers One reason why theories nearly won the 1910 election on defending an undemocratic house-was so many voters thought the behaviour of the house justified it’s power. 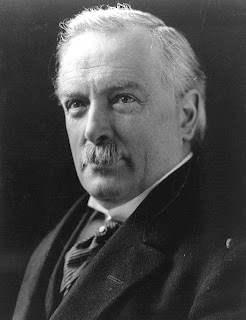 This is of course a picture of David Lloyd George- the man whose budget in 1909 domiantd the first of the two 1910 elections and helped trigger the destruction of most of the powers of the Lords He did as much as nearly anyone to polarize the British electorate to an unprecedented degree in the run up to the "Great War". This week I am going to be examining some UK party history before World War I. The franchise was ofcourse not as wide as it is now in the UK-Women and many men were excluded ( the latter were mainly those who lived with other families for example servants). However the evidence this had much effect on election outcomes is rather weak ( I may return to this in another post) . In any case there was a large electorate of many millions which had swings etc in a way rather similar to today- Britian ins one of the few countries one can make such clear comparison with an earlier political system-indeed even including some of the same parties. It is no coincidence that the few other countries where this was also true (mostly English speaking or Scandinavian) have also shown great comparative political stability in this period. That did not of course mean that the electorates views, the major issues or even the parties own basis of support or polices were the same. There were a number of major political cleavages that divided parliament and people in this era. Some still matter-others much less so. There were two major parties in this era the Conservatives/ Unionists and the liberals- and two more minor but very important ones the Home Rulers and the Labour party (which came into existence at the beginning of the twentieth century). There were huge issues in UK politics that had little connection to class or income (at least directly) and are much more minor today church establishment , "home rule" (probably the least dead issue though in a very different form) and the empire. Perhaps the most important was one that might surprise many modern readers- church establishment (that is whether one church should be given a special status by the state such as state revenues). The issues of Church establishment dominated politics in this era. in 1868 the (Anglican) Church of Ireland was disestablished and in this era the liberal party increasingly came round to disestablishing the (Anglican) Church of Wales. IN both cases only a small minority of the churchgoers of the land in question belonged to that church. More formidable politically were the church of England and the church of Scotland (t he only established church to be Presbyterian rather than Anglican in nature). These churches survived-indeed survive to this day. So did the commitment to the monarch to being a Protestant- though the form of oath in the coronation was toned down in this period (though not in 1901 when the Prime Minister Lord Salisbury insisted on Edward VIII at his coronation giving the traditional extremely anti Catholic oath of monarchs). This in many ways lay behind differences that went beyond Church Establishment for example religious schools were overwhelmingly Anglican and Catholic and were strongly opposed by dissenters in large measure for that reason . More or less everywhere in Britain Anglicans and church of Scotland men voted conservative- dissenters voted massively for the liberals. Conservatives were much more pro church establishment and liberals much more hostile-though as with every other issue there were exceptions to such rule (particularly in this case among the liberals). In Ireland whereafter the mid 1880's another issue dominated- Home Rule that is the creation of a more or less self governing parliament for Ireland (which would be dominated by Ireland’s Catholic majority) . This also was n issue for Wales and Scotland in this period-but much less so. In Ireland it dominated politics from the mid 1880's onwards consistently about 3/4 of Irelands seats went to the Home Rule party-a party closely linked to the Catholic Church (when it split over the divorce of Charles Parnell their Protestant leader the anti Parnell faction was the much stronger thaks to the clergy’s support) and committed to Home Rule. The liberals after the mid 18880's were vastly more sympathetic- and could gain enormous support when they lacked a majority as in 1886,92 and the two 1910 elections). For this the Home Rulers were willing to sacrifice issues such as a labour relations and land taxation were they were far from natural allies of the liberals. It is perhaps no coincidence that 1906 the only clear majority for the liberals by themselves in this period was also the only election after which the liberals made no move to push Home Rule. At the same time the same issue (and linked sectarianism) ensured the Protestant vote went for the "unionists" as that party was appropriately called in Ireland- the quarter of Irish seats dominated by Protestants were as a “unionist” as the Catholic seats were Home Ruler. Nationally in mainland Britian it was a powerful issue- and save in Catholic Irish areas one that worked powerfully for the Conservative "Unionists". Thus if one powerful cleavage was Anglicans (and church of Scotland) vs dissenter another was protestant vs Catholic- and on this cleavage Catholics might be more committed but Protestants were vastly more numerous in the British isles. If Home Rule was linked to religion it was also linked to conceptions of the empire. The Tories were the imperialist party -very clearly by the 20th century. The Boer war against Afrikaner settlers in southern Africa split the liberals-but there was barely any doubt among Tories and home rulers- theorem for the latter against in monoliths. Thus imperialism was a difficult issue in itself for the liberal party. The party of pluralism, peace and free trade simply had difficulties with the conception of empire the Conservatives lacked. They were badly split in the 1900 "khaki" election fought on the Boer war and went down to overwhelmingly defeat. Nonconformists and Irish Catholics were the bastions of anti imperialist sentiment and wielded huge power among the liberals. -but at least when it came to the Boer war they were clearly outnumbered. Thus the size and tightness of the empire ( liberals being sympathetic to Home Rule were also sympathetic to a more "decentralized" empire) were another major cleavage in liberal politics. Thus whole elections were run on constitutional and imperial issues in a way that has certainly not happened in recent decades in the UK. Undoubtedly millions of voters voted almost exclusively on these issues. The Conservatives gained millions of votes from those who identified with Church Establishment the Protestant nature of the UK state and had a unitary notion of the Kingdom and the empire ( all these differencs of course mutually reinforced each other). Those who feared or disliked the institution generally away from the periphery geographically and/or were dissenters religiously in turn voted in the million for the liberals and their allies. It is important to realize that all these issues grew more salient in this period-not less, they were not same strange legacy of the past- the decades after 1886 saw sectarian ethnic and regional voting reach new levels in the history of the UK-in some ways it came to a height indeed in the elections just before the First World War! Geography made a big differences as to which cleavage mattered the worst areas for the Conservatives tended to be areas where there was a huge catholic majority such as Ireland or areas where there was a big dissenting majority and very few Catholics to polarize against such as a rural Wales. This does not mean issues did not exist which are closer to our own defence and certain economic issues also mattered-and it is to this we turn. The picture above is of the man who created more than any other the cleavages o these issues-by disestablishing the church of Ireland ,embracing disestablishment as a principle (though a devout Anglican himself) , embracing Home Rule and taking a cool line to the empire-that titian of mid Victorian Politics William Gladstone who as late as 1894 dominated British politics like the colossus he was. Sulla returns again. I'll be posting for Gracchi while his away this week. So any errors,typoos, aggreviations etc should be blamed on myself and not he! Facts, even trifling facts, when indisputable may have significance but Welsh Pedigrees... are highly unsatisfactory to the ingenuous mind. Carlyle was talking about Oliver Cromwell who was several generations back a Welshman, descended from the Williamses of southern Wales. Carlyle, as Lloyd Bowen suggests in a very interesting article in Patrick Little's recent collection on Cromwell, was completely wrong. Cromwell's Welshness mattered a great deal both to the man himself and to the course of British history. It is noticeable that Cromwell was JP for only two counties- the Isle of Ely (where he served as a military governor) and Monmouthshire. His Protectorate arms and regalia were enthused with Welsh symbols: the centre of his arms bore the coat of Caredig Lord of Powys, the standards of Ynyr (King of Gwentland), Iestyn ap Gwrgant (last native ruler of Glamorgan), the red dragon of Cadwalladr and the arms of Cynfrig Sais accompanied the Protector with flags commemorating his Welsh ancestors, to his tomb in 1658. Even his personal seal had a Welsh flavour, it incorporated the quarterings of Madoc ap Meredith (prince of Powys), Iesyn ap Gwrgant (prince of Glamorgan), Collwyn ap Tangno (a Dark age Lord) and Caradoc Freichfras (a sixth century King of Gwent). Cromwell even mentioned to John Williams, Archbishop of York, that the two men shared a Welsh heritage. Sentimental attachment is one thing- but an actual policy influence is another. Bowen shows, in my opinion, the first and he clarifies for historians evidence that we already should realise indicates the latter. After all Cromwell dissolved the Rump Parliament in 1653 partly because of his irritation about plans to interfere with the Commission for the Propagation of the Gospels. Many of Cromwell's early allies in the Commons were Welsh MPs- most importantly Sir Robert Harley, MP for Monmouthshire- and its noticeable that as the Welsh Puritans became more radical they turned from Harley to Cromwell himself to petition. Many of these figures within the Welsh Puritan world became important figures in the Commonwealth and Protectorate- Colonel Phillip Jones was a key figure both in the New Model Army and in the Council of State for example. There are other more minor figures than Jones whose histories run on from the moment of their engagement with Cromwell in 1642 right up until their or his end: one might think of William Erbury, a constant presence in London and at the army headquarters in the late 40s and a Welsh preacher, or Morgan Llwyd, the famous Welsh Fifth Monarchist. Bowen can't prove that the two things are tied together and he leaves his readers to speculate- like a good historian he goes no further than his evidence will take him. I think though that as a unserious blogger the evidence is suggestive- that Cromwell's Welshness influenced a particular tinge in the Protector's interests. It made it harder for him to argue that the Welsh like the Irish were inherently barbaric- despite Welsh conservatism in religion- because he was descended from them. As Bowen shows it opened roots of patronage from Wales to the Protector- but its worth noting as well that Cromwell responded to that patronage- he held offices and eventually confiscated royalist lands in Wales- he advocated for Welsh petitions and supported Welsh politicians. The evidence suggests that contrary to Carlyle a full understanding of Cromwell's policy needs to take into account the fact that he was Oliver Williams as well as Oliver Cromwell. Bowen has shown us that yet again Carlyle, excellent phrase maker though he was, was no judge of what was a significant minor detail.